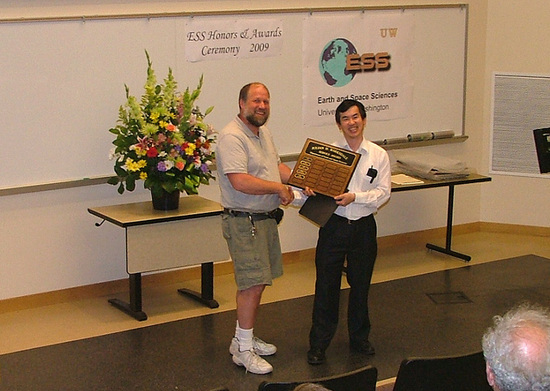 The 2009 Honors and Awards Ceremony was held on Thursday May 28th at 3:30 pm in JHN-102, hosted by ESS Chair Robert Winglee. There were numerous honors, awards, and scholarships given during this ceremony, but as promised, Robert kept the ceremony down to less than an hour, before adjourning to an outdoor reception on a beautiful sunny day. 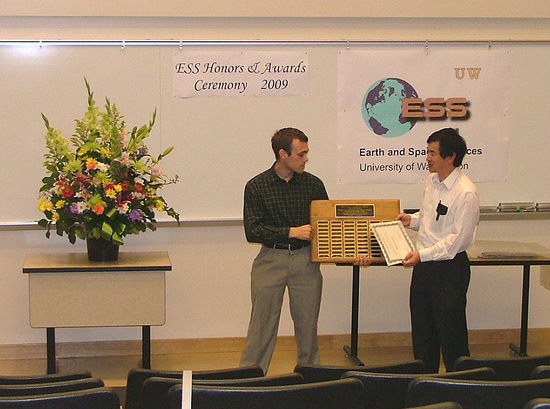 Peter Neff receiving Undergrad Service Award from Robert Winglee. 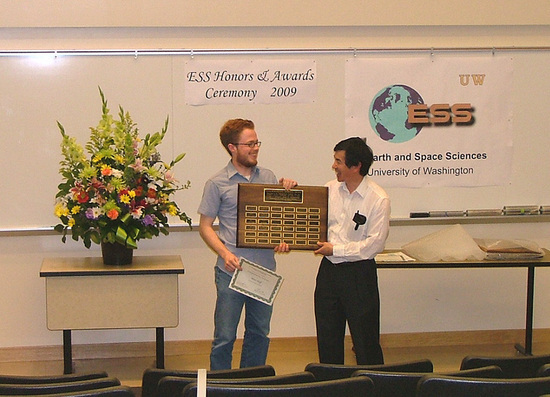 Ryan Erickson receiving the top undergraduate Merrill Prize. 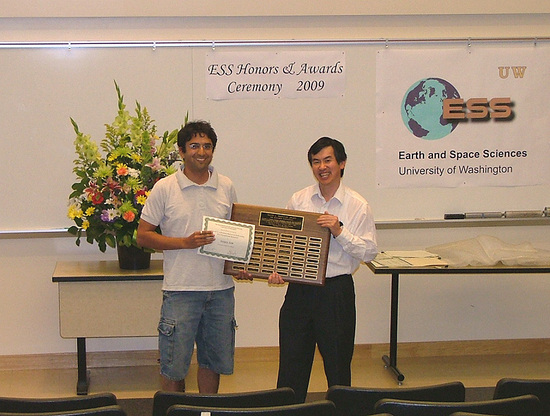 Sanjoy Som receiving the top graduate student Johnston Prize. Missing from photo is co-winner Aaron Wech. 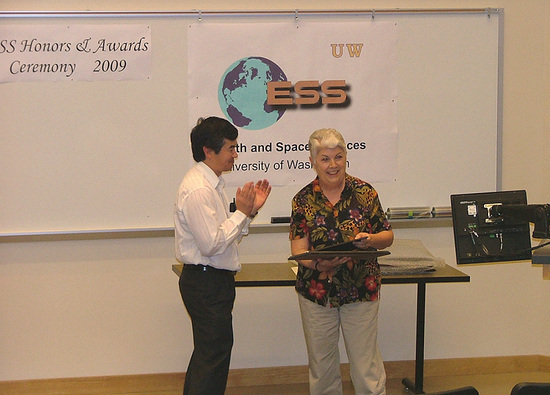 Liz Nesbitt receiving Teaching Excellence Award from Robert Winglee. Ed Mulligan receiving the Barksdale Service Award from Robert Winglee.